Has this happened to you? You're in the grocery store/co-op, not really hearing the music issuing forth from the speakers. Then, a song that you love starts playing. You smile. You feel a little better about your day. You might even bop your head to the beat. Yeah, everything is going to be okay, even if you can't find that pasta sauce you like that always seems to be out of stock. 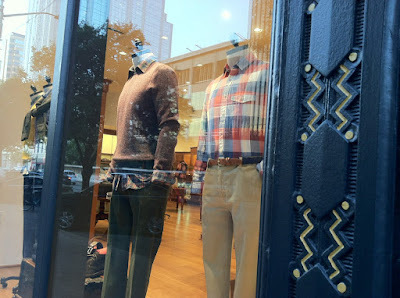 Chad and I have decided to do a few short-travel-distance, no-flying mini vacations in Texas this year, instead of our usual one semi-fancy, non-family-visit vacation that we try to take each year. (Yes, family members, we will still fly out to Georgia and to North Carolina to visit at some point this year. Chillax.) We're saving money for a trip to Hawaii in April 2018! Neither of us have ever been to Hawaii. I hope it will be a great blend of familiar and exotic. I've started researching. I think we'd most enjoy Oahu or Maui. We love to snorkel, hike and look at waterfalls. We like beaches, but we don't surf. We don't have children, so no need for a family friendly resort. We don't golf or play tennis, preferring instead to enjoy the natural setting during vacation. 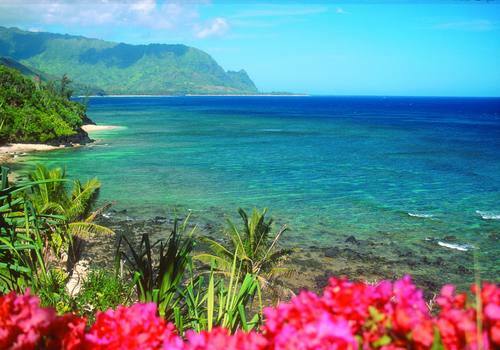 Have you been to the Hawaiian Islands? Please share advice, must-do items and must-not-do items in the comments. Thanks! Brenham, Texas sits halfway between Dickinson, Texas and Austin, Texas. That's the reason my cousin, who lives in Dickinson, and I chose to meet there for lunch with my aunt (his mom) and our shared grandma who are visiting from Arkansas. I don't get to see my relatives often. My sister's family and my mom live in North Carolina. (I never lived in North Carolina, so it's not going "home" when I visit them.) As mentioned, my aunt and grandma live in Arkansas. My uncle lives in Wisconsin. I have a cousin living in Florida. Like many modern families, we are a mobile bunch, untethered to any common hometown. I'm thankful that I got to spend time with part of my family this week. 1. 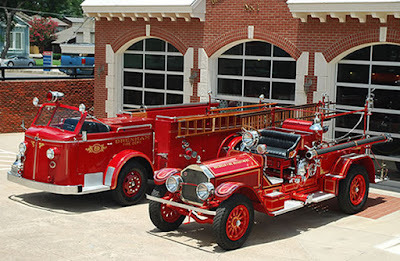 While admiring an antique fire engine display near Brenham's town square, my grandma (a.k.a. Mimi) said to me, "When I was little, I thought fire trucks went around to people's houses starting fires. I hoped that they wouldn't come to my house." She shrugged and grinned. I gave a half-giggle with a bright sunny smile and responded, "That's kind of terrifying." 2. Brenham is the home of Blue Bell Ice Cream. In 2015 there was a heart-breaking listeria outbreak that resulted in illness, deaths and a temporary factory shutdown. During lunch I said quietly to my cousin, "You know how in Ireland you don't joke about the potato famine, or even really bring it up? 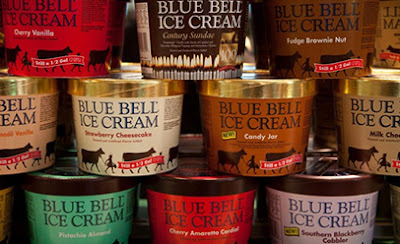 I feel like you don't talk about the Blue Bell troubles here in Brenham." My cousin replied in his deep, naturally resonating voice, maybe a bit too loudly, "Oh, that e-coli or listeria thing?" I glanced around nervously to make sure the locals weren't giving us mean looks or grabbing pitchforks before nodding in confirmation. 3. 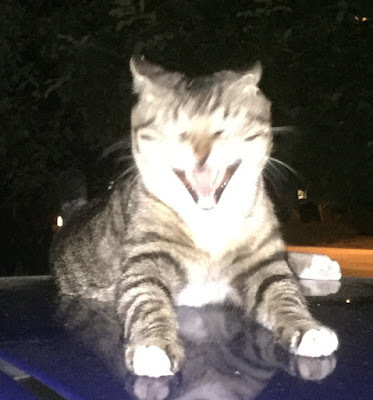 My aunt told us that she saw a mountain lion in her hometown in Arkansas. The mountain lion was huge, glowing like gold as the morning sunlight hit its fur, as it casually stalked a doe and a fawn. 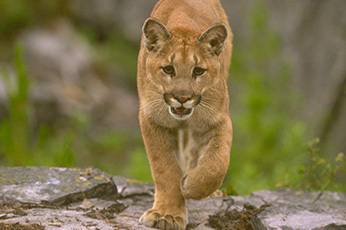 Local wildlife officials say there aren't any mountain lions in the area despite sighting claims by different locals. My aunt asserts that they haven't possibly checked every cave or cavern, and should stop saying there aren't any mountain lions. 4. There are numerous antique stores in Brenham. Because I toiled too long in retail jobs, I personally don't love shopping as a hobby or activity. I don't have a refined appreciation for dusty, rusty antiques. I don't need more stuff to clutter up my cozy, mid-century, bungalow-style home. However, my aunt appreciates antiques, and enjoyed shopping while I enjoyed sitting outside on sunny benches with Mimi chatting. We all marveled at the architecture of historic downtown Brenham. 5. 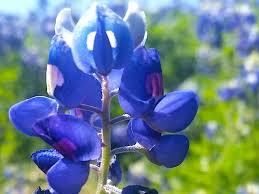 Having never seen the flowers in real life until her trip down to Texas this week, my aunt announced that she loves bluebonnets. She delighted in up close encounters with the blooms as we walked around Brenham. Comfort zone refers to places, activities and experiences with which individuals are familiar, feel safe, feel at ease and experience minimal stress. As a sometime-actress I am often pushed outside of my comfort zone for acting roles. For the purposes of this list, I'll limit myself to one performance/actress example. Oh, hey, big city. I'm going to walk around by myself now. No, I'm not sure where I'm going. Everybody be cool, because I couldn't bring my pepper spray on the airplane with me. I haven't found the Duane Reade store yet to buy more pepper spray. No, I do not want to take the subway by myself, but thanks for offering. Exploring the big city on my own while Chad worked was worth it. I am not a strong swimmer. Snorkeling in very choppy salt water off the coast of Key West presented a physical and mental challenge. I was a big dork, and used a float-noodle in addition to my buoyancy vest to stay atop the waves. It was a trick to not inhale salt water through the snorkel air tube every time a wave crested near me. I was brave. I stuck with the challenging conditions instead of climbing back onto the safety and comfort of the boat. 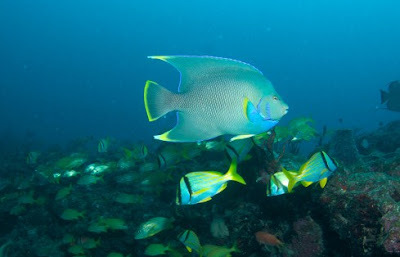 I was rewarded with the sights of colorful tropical fish and coral reefs. Snorkeling in rough waters was worth it. I am accustomed to sharing the stage with other actors, and performing other writer's work. It was one of the most nerve-wracking things I've ever done to stand on stage for twelve minutes telling my own tightly scripted story. Getting my story out to an appreciative audience and exorcising the past trauma was worth it. Even the sweetest cat can be unpredictable, hissy, scratchy and/or snappy when you stick a needle into it. I had to regularly give insulin shots to a few diabetic cats when I worked for Furry Godmothers as a pet-sitter. I also had to give immunizations to a few of the adoption center cats when I worked for the pet rescue organization. The hardest thing I had to do was administering subcutaneous fluids to cats. I inserted a sturdy hollow needle into the cat's scruff (back of neck area). I had to keep the cat calm and still long enough for hydrating fluids to flow from an IV bag into the cat via the hollow needle. This typically took about two minutes if I was able to subdue the cat and if the needle stayed in place. A four-pound, twenty-three year old cat who I really loved left me with a scar by which to remember her during a particularly contentious round of fluids. Helping those cats was worth it. Working downtown in the ever-increasing congestion and crowds of Austin also presented challenges. Despite my expensive parking contract, a few times each week, I struggled to find a parking spot to accommodate my compact MINI Cooper. A few times a month I would have to park illegally just long enough to run into the parking garage office and inform them that there wasn't a single spot left in the nine level garage even after going all the way up and down two times. They would usually send me to another parking garage down the street to begin the hunt again with a validated parking pass for that garage. I was late to work many times due to the parking spot scarcity of my oversold parking garage. That parking garage also typically smelled of drug-tainted urine and skunky smoke. The nine-story structure featured two very slow elevators that often were out of order and a triangle-shaped enclosed stairwell with uneven stairs, all the better to trip upon. Working at that job downtown for just under a year was not worth it.